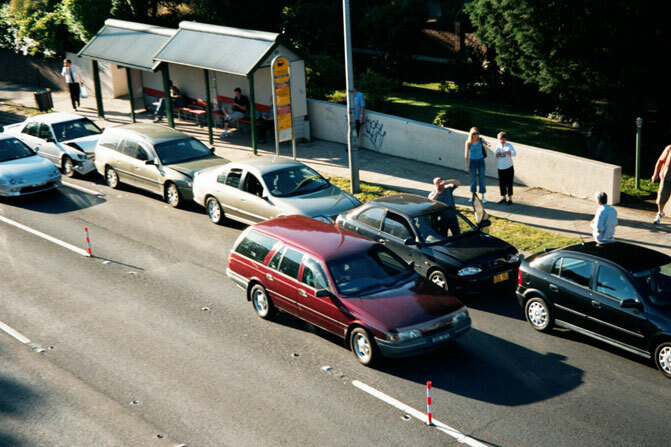 Five cars hold an unscheduled meeting in Longueville Road, Lane Cove. 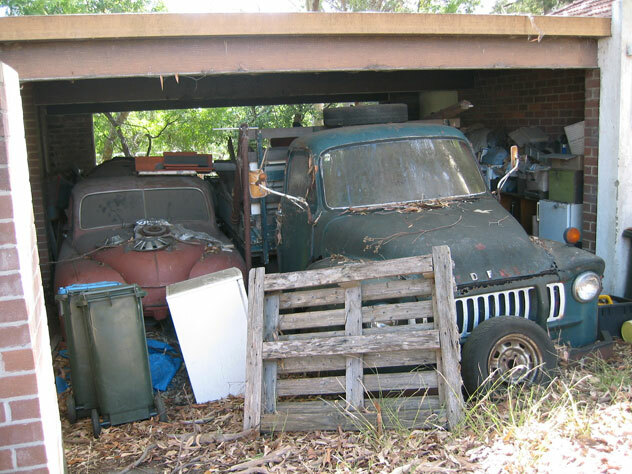 'Garage [F garer to shelter] 1. n. building used to protect motor vehicles from the weather.' As, for example, in Austin Street, Lane Cove. 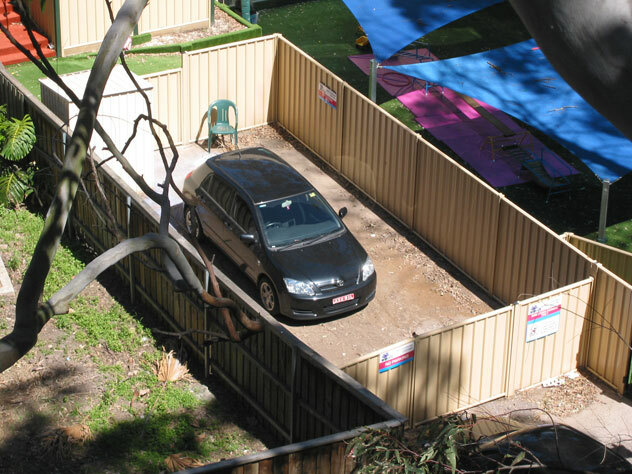 Isolated detention in Sera Street, Lane Cove. Only two weeks until my lawn is laid and the temporary fence comes down. But there seems to be a problem here at Little Bay. 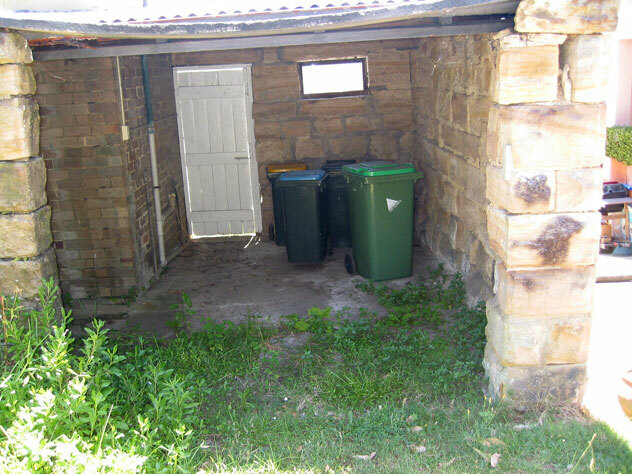 Longueville garages have lush, enviro-friendly floors. 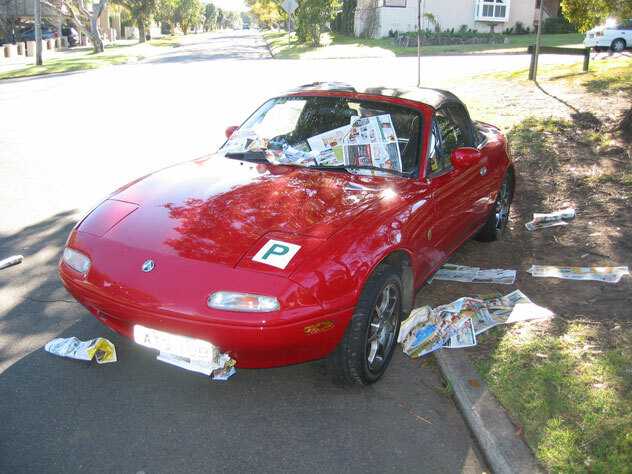 Probably provisional prank? No damage, no tyre marks, doors locked, other 'P' cars nearby in William Edward Street, Longueville. Do the right thing by giving your cars nice ambience, and they'll do the right thing for you. 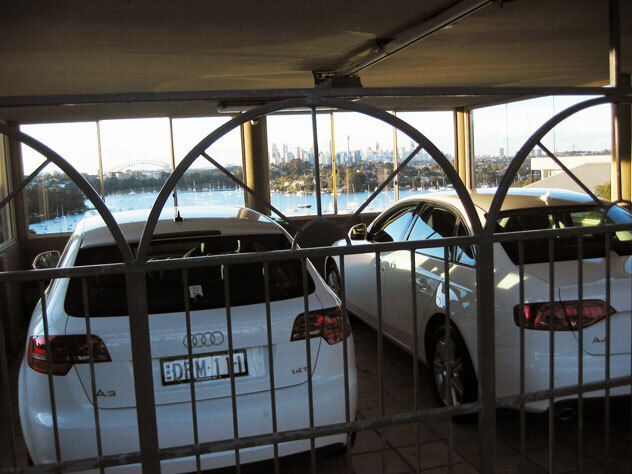 Cars appreciate views of the Lane Cove River and the coat-hanger.